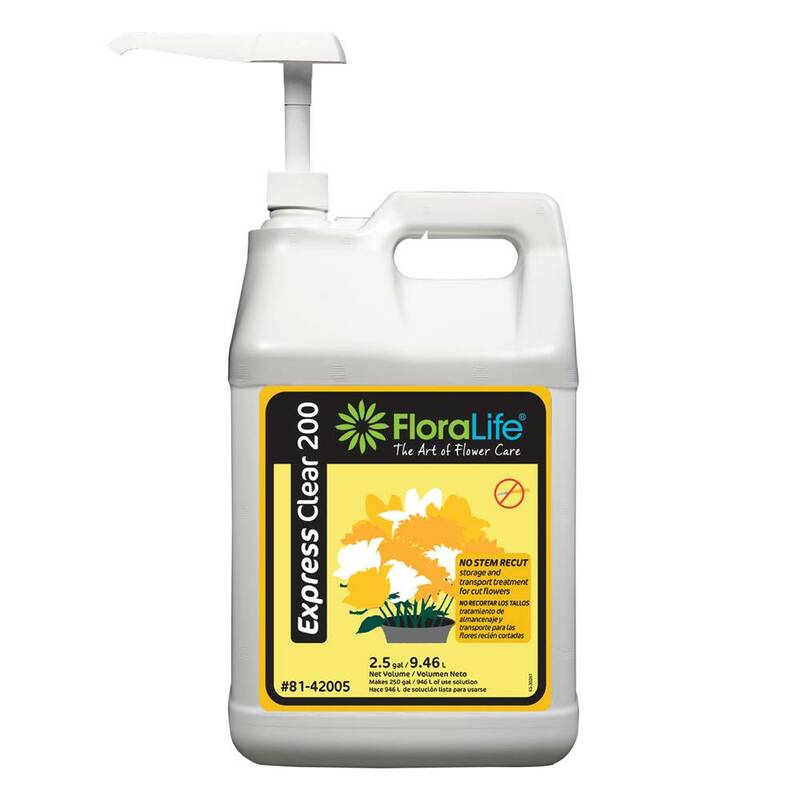 Express Clear 200 is a revolutionary floral storage and transport solutions that allow fresh cut flowers to keep fully hydrated and fed without having to recut stems. These premium solutions are formulated to promote immediate uptake for hydration and nutrition keeping stems clear and free flowing which inhibits premature bud opening or bent neck, while increasing longevity. These products enable you to ship, store and sell with only the harvest cut. Giving the farms the ability to sell the length they cut and bouquet makers or wholesalers to sell the length they buy means that at every link in the distribution chain, there is a reduction of labor costs as well as reduced waste.